KEN YUSZKUS/Staff photo. 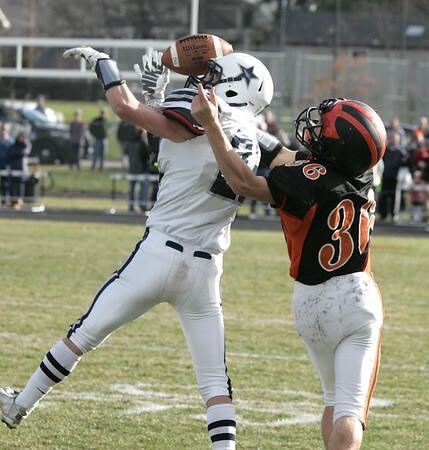 Hamilton-Wenham's Hunter Ascolillo goes up for the ball as well as the intended receiver Ipswich's Blake Emerson, and both get nothing during the Hamilton-Wenham at Ipswich football game. 11/26/15.